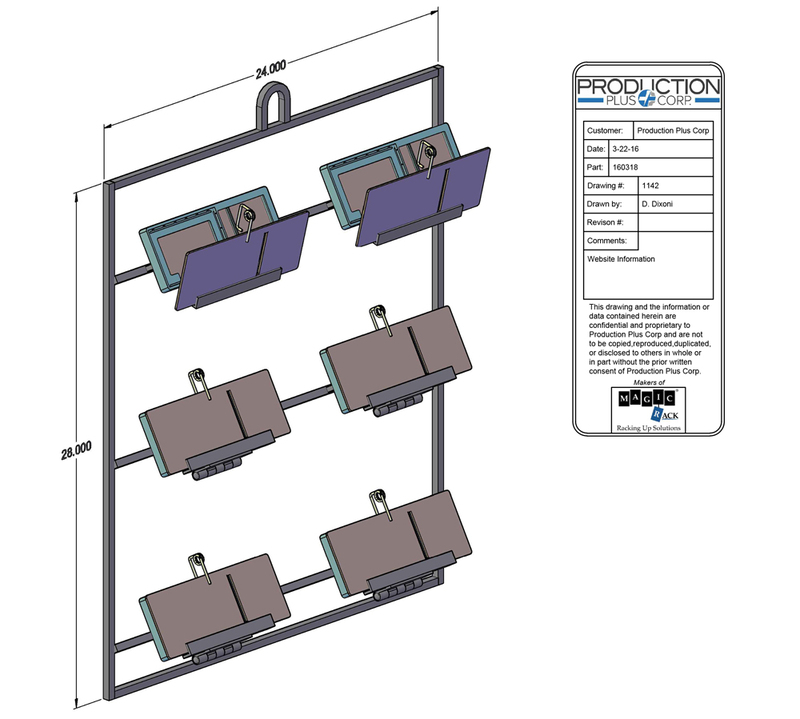 At Production Plus Corp. / Magic Rack, we pride ourselves in helping our customers find solutions that allow them to operate more efficiently. 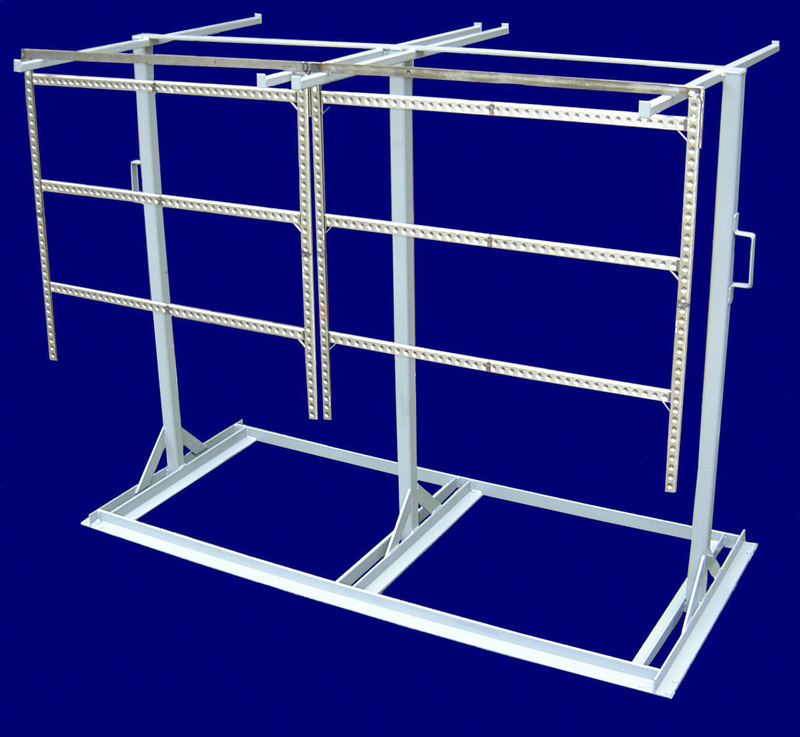 With this type of thinking in mind, we decided that there must be a better way to organize and transport paint racks. 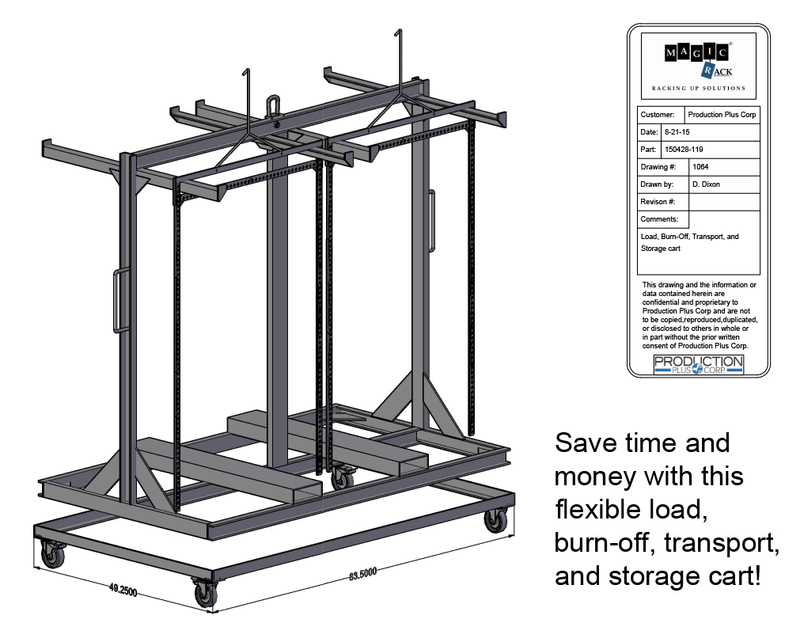 Instead of letting paint racks pile up in a corner or on a skid, we’ve developed Transport Carts that can be used to store your racks neatly as well as move them around your facility. 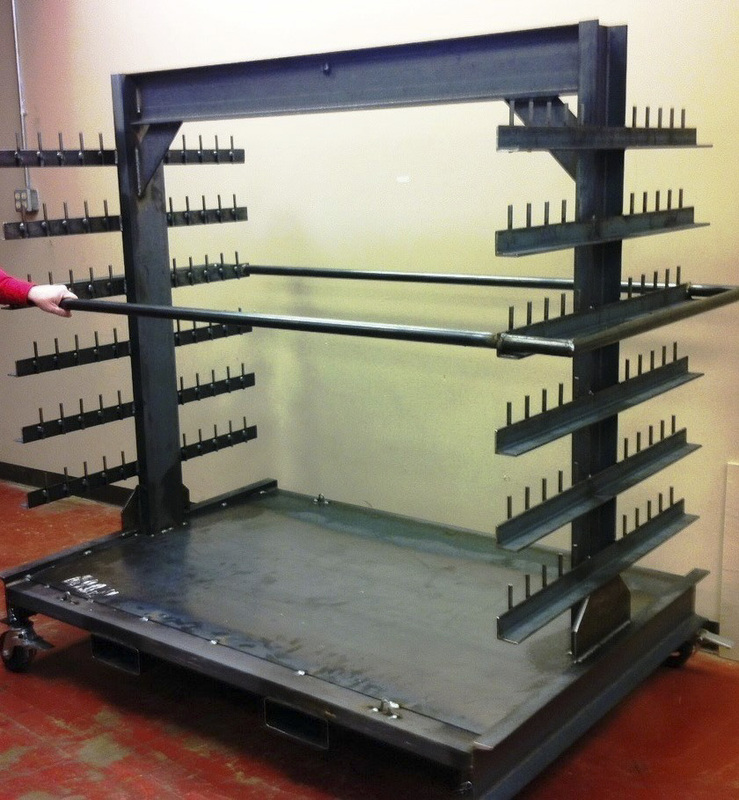 These Transport Carts are also designed to be able to handle burn-off ovens and cleaning. 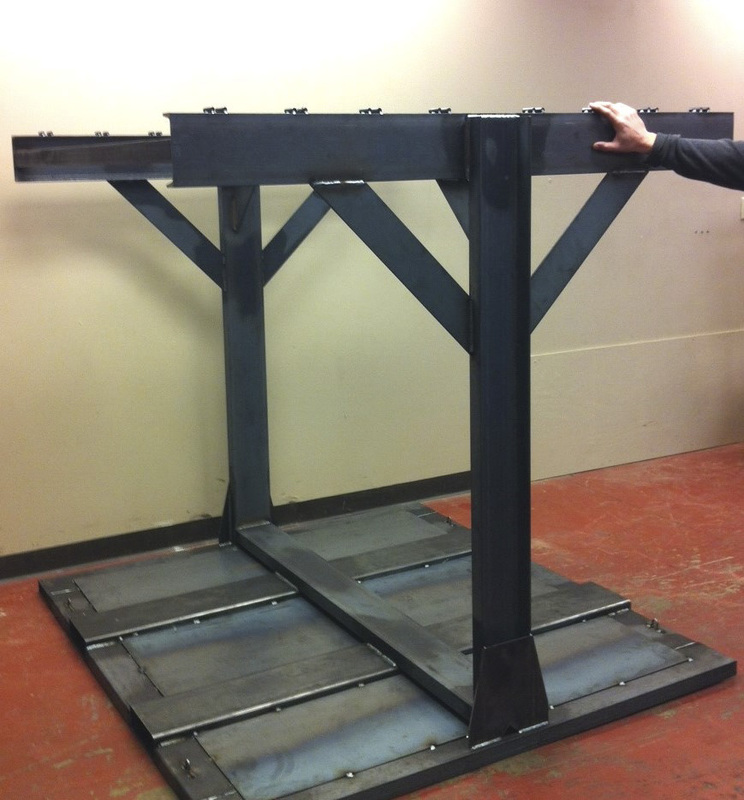 This will save handling time in your facility and cut costs with the burn-off company as well. 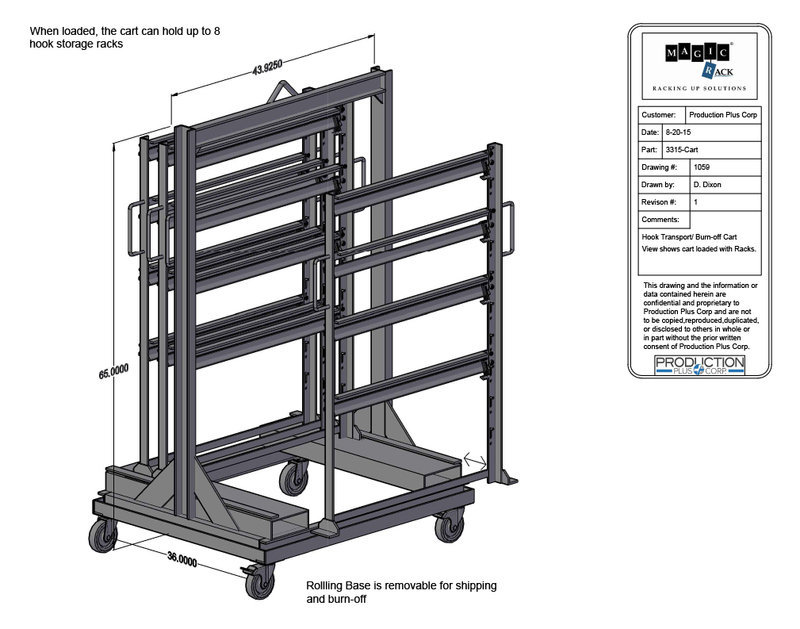 We have Transport Carts for our standard Magic Rack I and II and frequently design these in tandem with custom racking for a complete logistical solution.